Service companies are always looking for new ways to display service dates, their company name and contact information, and unique identification. There are always paper stickers, but those leave a huge mess and never look nice after a couple days, especially when used outdoors. Don’t be careless and use paper, be professionally creative and use deSIGNery’s embossable and write-on aluminum decals. These decals are very unique and can be completely customized. Check out our Spring Sale for savings on Write-On Aluminum Stickers and Embossable Aluminum Decals in the following link. BBB Member since 2004 with a proven record of complaint free customer satisfaction on items like Write-On Aluminum Stickers. Click on the BBB logo above to check our record or leave a customer review. If you are in the market for Embossable Aluminum Decals, give us a call today and you will soon realize why after 24 years we still have an A+ BBB rating! At deSIGNerySigns.com we have more than 24 years experience in designs for our Embossable Aluminum Decals. Call us today and let our design specialists help create your next project to promote your product or business. FREE Shipping on all decal and sticker products | Free layout | A+ BBB rating | 24 years in the business | Call Today for a free quote on Embossable Aluminum Decals. Many companies have numbers they need to keep track of and a good way of doing it. So many types of technicians and technological devices have important numbers that help identify each unit. There’s batch numbers, catalog numbers, expiration dates, inspection codes, serial numbers, certification id numbers, installation dates, and model numbers. Embossable aluminum makes this hectic identification process very easy. It is a one time process and is tamper-evident. The custom embossable aluminum stickers is presented using a black ink over the satin finish of the material, unless otherwise specified. This type of material will not accept ink but you can use a ball point pen to emboss the decal. It is safe to be used outdoors because our high quality UV inks are used which prevents them from fading. A great example of where these can be used would be on air conditioning units. The embossing won’t ever fade or disappear and the printed ink will always look clean and legible. The adhesive is permanent so a long lasting adhesion will always exist. If embossable aluminum isn't really what you need but you need a sticker that will accept ink and can still identify the important specifications of a unit, then look no further than our custom write-on aluminum. Write-on aluminum stickers do not emboss, but it does readily accept ink from ball point pens. The write-on aluminum has a different type of appearance than the embossable aluminum. It is a little duller with a matte surface which makes it able to accept the ink. 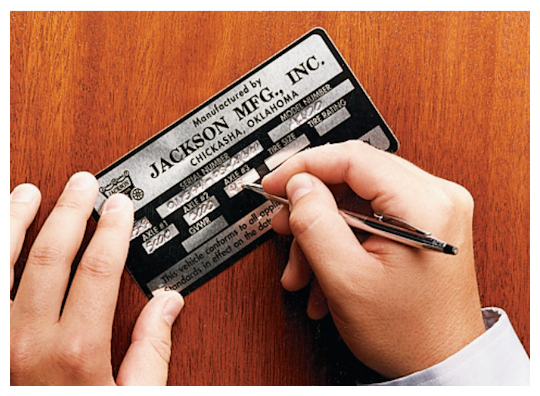 The write-on aluminum is a great way to identify electronics and service equipment with important number and ids. Inspecting machines is a high priority and a very important job. It is crucial to mark stickers with the correct information as to not make an error in the future. 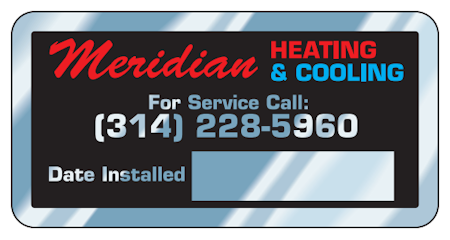 These write-on aluminum stickers make it easy to display your company information with contact phone numbers and names. Your company is your customer’s #1 choice in safety and depends on you for proper inspections. 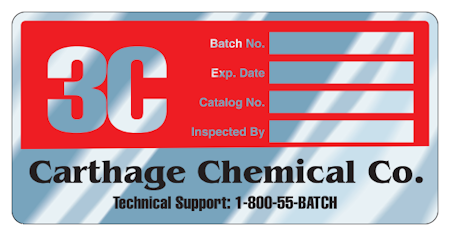 Chemical supply companies should always play it safe and provide proper information to their customers. These write-on aluminum decals give you the ability to mark your product with the exact type of information they need to have. They are clean and professional and can be used outdoors. The ball point ink should be protected to make sure it does not wear off or fade. 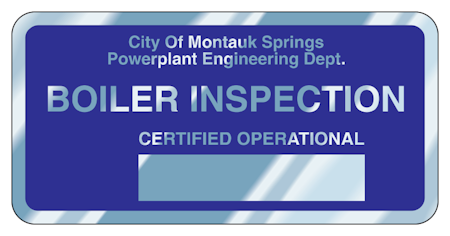 These stickers definitely work better for indoor uses such as on computers, printers, small electronics, trash bailers, forklifts, compactors and any other type of machinery that may need inspections or service. Both embossable and write-on aluminum stickers are very convenient and useful. If you aren't sure that these products will work for you, no worries. Request a FREE sample of either one or even both to see which will work best for you. Visit us on our Contact Us page and request a free sample today. These stickers are top quality and are sure to please any company in need of them. You can also request a free quote and send in any questions that you may have on this type of product. Don’t hesitate, your important numbers need a good sticker to be stuck on! 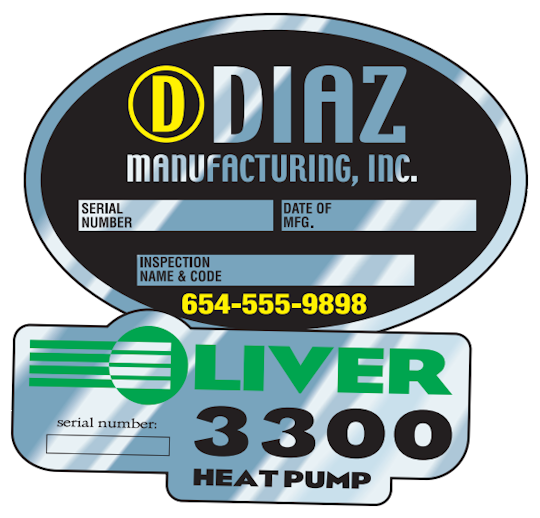 For pricing on custom shape embossable stickers, click on link above. For firm pricing on intricate shapes, email us a picture of shape of the tamper-resistant embossable or write-on aluminum decal. Custom shape write on decal material: Embossable Aluminum has a satin finish with permanent, pressure-sensitive adhesive. This material is NOT intended to accept ink. 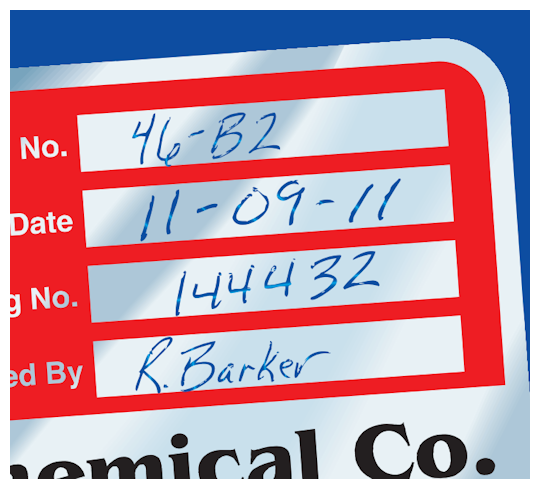 Write-On Decals have a matte surface with permanent, pressure-sensitive adhesive. This material will NOT emboss. 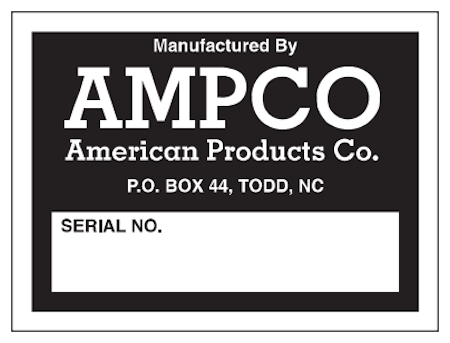 We offer our tamper-evident embossable aluminum stickers and custom write-on aluminum decals in stock shape sizes to save you some dollars, but we also offer custom shapes and sizes for an additional cost. We all need ways to save money and we have put together many options to help you do just that.